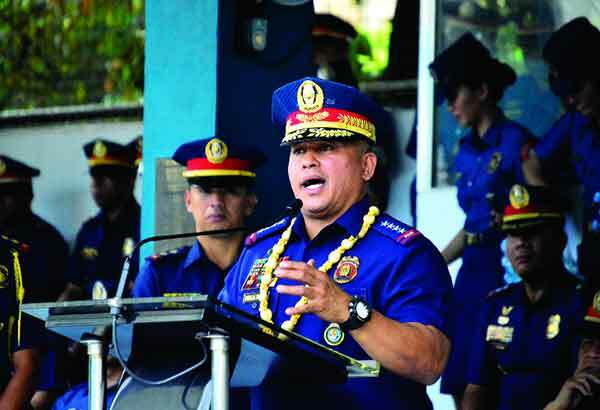 MANILA, Philippines — Confirming the 756 deaths in drug related operations, Philippine National Police (PNP) chief Director General Ronald Dela Rosa noted that all fatalities were drug pushers. Dela Rosa said on Wednesday that those who were killed during buy-bust operations were suspected drug pushers. He added that the fatalities were killed after resisting arrest and tried to fight it out against them. “Hindi tayo pumapatay ng user. Bakit tayo papatay kung hindi under threat ang buhay natin? Sabi nga save the user, jail the pusher,” the PNP chief said in an interview with GMA News TV’s "News To Go." “Ang mga namamatay user na, pusher pa, tinatamaan sa buy bust operations,” he added. Dela Rosa insisted that his wards were pushed to use force since their lives are in jeopardy, an order mentioned by President Rodrigo Duterte in his speech at the 116th anniversary of PNP. “May namatay, may dinala sa ospital. May pulis na namatay, may pulis na nadala sa ospital. Ibig sabihin nalagay sa alanganin ang buhay ng ating force. Nanlaban ‘yan,” he said. “Kung kaya mo siya macontrol without using your firearm, gagawin natin yan by all means,” Dela Rosa added. The PNP chief confirmed at the Senate hearing on extrajudicial killings yesterday that a total of 756 persons were killed after resisting arrest as his men “are performing their duties regularly." Duterte earlier advised PNP officers to shoot resisting criminals if “there is a violent resistance.” He also ordered the Internal Affairs Service to investigate all the killings in police operations to be transparent to the public.